I'd like to redo my bedroom in your color board. 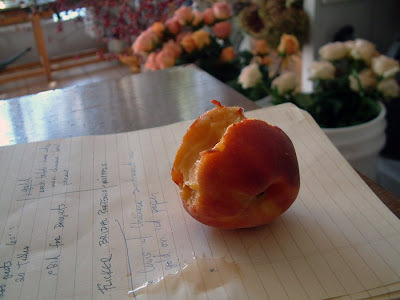 I cut and discarded 3 peaches myself the other day. What a disappointment! But when they are good....they are SOOOO good! PS. May be you need a real rolling pin?? anyway, just wanted to say "hi". guess we better get practicing with Clover. 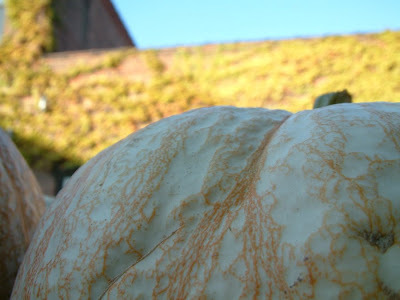 did you check out 'last night's dinner' october 8 post with that awesome pumpkin?? I love all these crazy colors. hope you three are cozyin' it up with this cool weather! 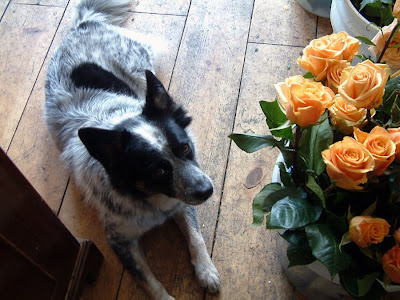 hi, i found your blog through oh joy: i just got to say, you have the best flower blog i have EVER seen! and i read a lot of them! 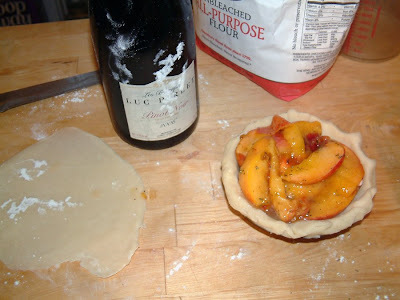 old peaches make great stewed peaches make great ice cream topping. rosemary sugar - could work into a chicken recipe.